During the visit of the President of Ukraine Petro Poroshenko to Georgia, the parties agree on strengthening political and economic cooperation, intensifying joint work within GUAM and BSEC. During the first state visit of Ukrainian President Petro Poroshenko to Georgia, which began today, Ukraine and Georgia signed a declaration on the establishment of a strategic partnership, Poroshenko's press secretary Svyatoslav Tsegolko informed on Twitter. “This is the highest form of trust between the leadership of the state and the highest form of trust between our peoples. Strategic partnership is also conditioned by joint challenges and threats. And we will be able to defeat these threats only if we are strong and united," Poroshenko said. According to the Ukrainian President, Ukraine and Georgia have common challenges related to the occupation of part of the territory by Russia, and the states will coordinate efforts to restore their territorial integrity. Furthermore, Poroshenko said that the two states intend to coordinate work in international organizations - the UN Security Council, the General Assembly, the intensification of work within the framework of GUAM and BSEC and the strengthening of economic cooperation. "We agreed to intensify economic cooperation, eliminate any barriers, coordinate tariffs, including rail and ferry transport, and deepen the free trade zone," the Ukrainian Head of state said. 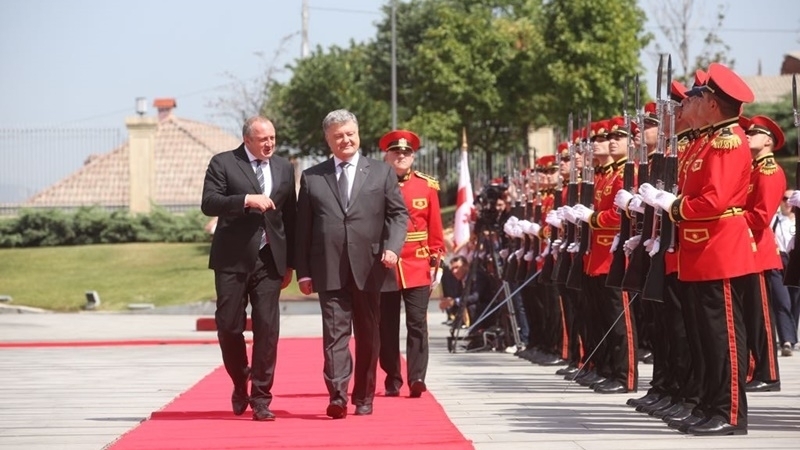 Today, apart from meeting the President of Ukraine with Georgian President Giorgi Margvelashvili, meetings are also planned with Prime Minister Giorgi Kvirikashvili and Parliament Speaker Irakli Kobakhidze. Tomorrow Petro Poroshenko intends to visit Adjara. 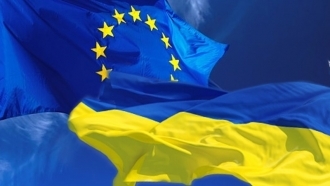 Earlier, Kyiv invited the European Union to develop a new format of relations - an enhanced association within which the EU can move to more active cooperation with Ukraine, Moldova and Georgia.